Protect the core of your body when you head into battle with the help of excellent plate armour like the Blackened Vladimir Cuirass! 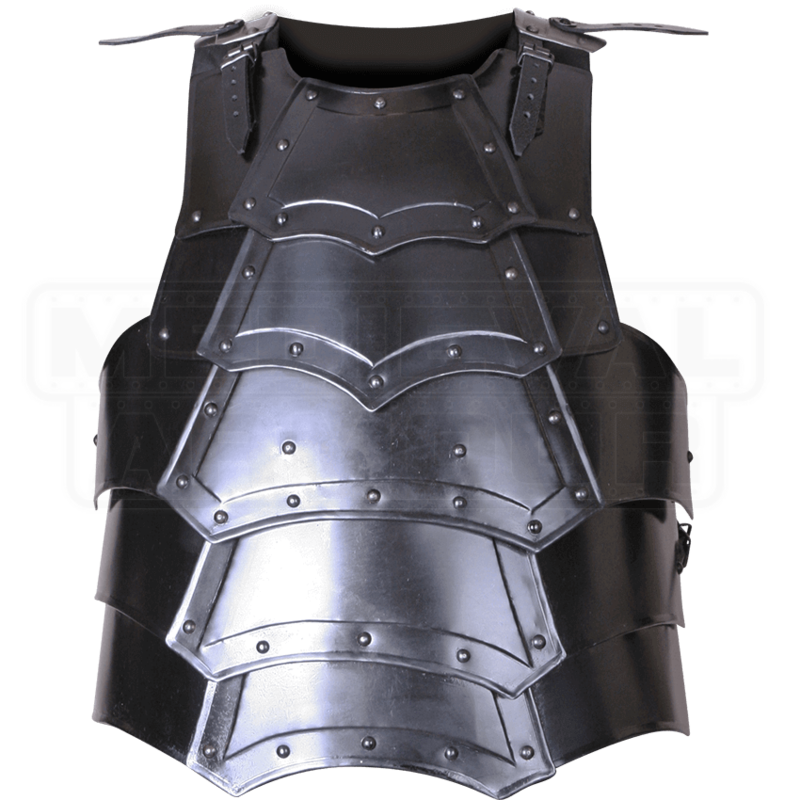 The steel cuirass is composed of multiple flexible segments showing a dark metal finish. The interlocking components allow more freedom of movement to the wearer than regular plate body armour. Each of the segments is framed by deepened edges and decorative rivets, lending the torso protection a distinctive look that goes great with our other Vladimir-style armour. The breastplate and backplate are connected with leather straps. We recommend wearing a gambeson or other padded arming wear with this torso armour to maximize comfort. 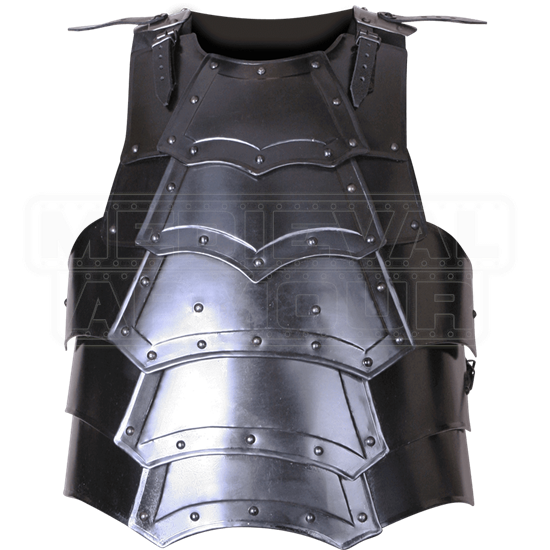 The metal cuirass is ideal for LARP events, re-enactments, and Renaissance fairs.